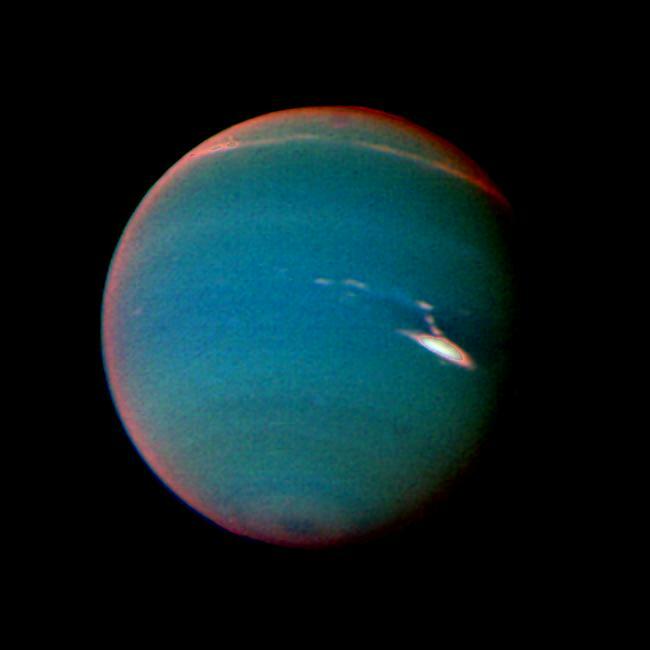 In this false color image of Neptune, objects that are deep in the atmosphere are blue, while those at higher altitudes are white. 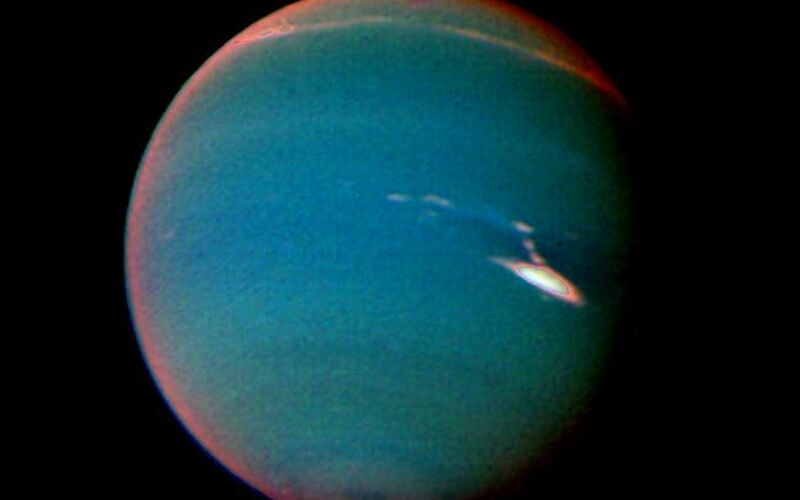 The image was taken by Voyager 2's wide-angle camera through an orange filter and two different methane filters. Light at methane wavelengths is mostly absorbed in the deeper atmosphere. The bright, white feature is a high altitude cloud just south of the Great Dark Spot. The hard, sharp inner boundary within the bright cloud is an artifact of computer processing on Earth. Other, smaller clouds associated with the Great Dark Spot are white or pink, and are also at high altitudes. 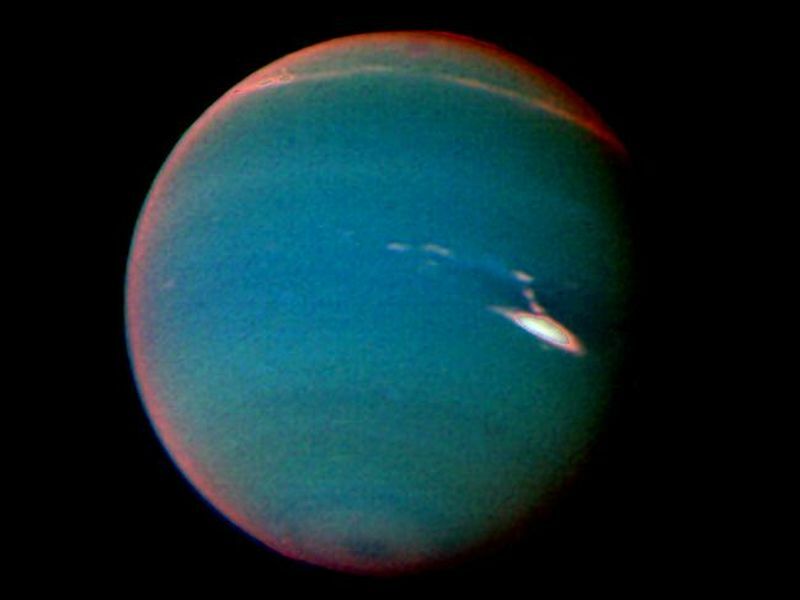 Neptune's limb looks reddish because Voyager 2 is viewing it tangentially, and the sunlight is scattered back to space before it can be absorbed by the methane. A long, narrow band of high altitude clouds near the top of the image is located at 25 degrees north latitude, and faint hazes mark the equator and polar regions. 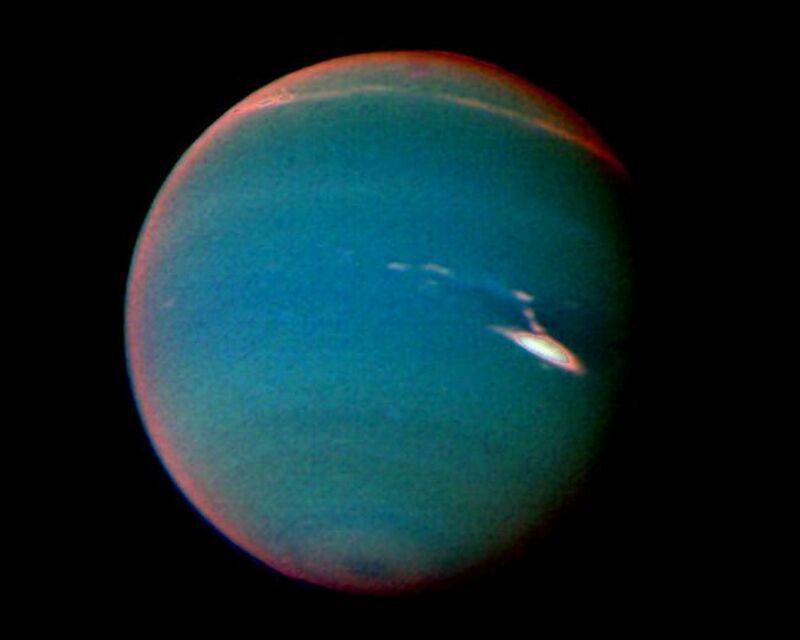 The Voyager Mission is conducted by JPL for NASA's Office of Space Science and Applications.